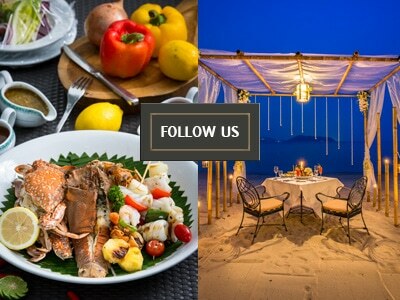 You’ve taken your pick from the many Phuket romantic restaurants available, put on your glad rags and ordered some fantastic Thai cuisine and a bottle of wine – everything is set. Now all you need to do is enjoy a comfortable, romantic conversation. You need something light-hearted, but not vapid; flirty, but not creepy. You would definitely not be the only one if, under the circumstances, you found your brain freezing up, presenting nothing but nervous “errm”s. Fortunately, we’ve gathered a few suggestions here, both for those embarking on a first date as well as those already dating. Remember that every person is different and what works for one person might flop for another, so it is still down to you to read the situation and the person and judge what will create a fun and friendly mood and what won’t. When it comes to your first date in Phuket, romantic tips which will help the most are those which will help you to get to know the sort of person sat opposite you quickly. Good friendships – and, by extension, good relationships – are formed on shared experiences and, at this stage, you don’t have any. The key, therefore, is to find something else that you share. It probably sounds obvious and even a little cliched, but shared interests are always a good place to start. Maybe you both like a certain type of movie, have both visited a certain country or city or both enjoy a certain activity. Once you’ve found that one thing, it opens a floodgate of conversation. You can talk about your favourite movies in the genre you both like and what makes them great, share stories of exploring that country or city and talk about what got you hooked on that specific activity. You don’t know what you have in common yet? Ask! Nothing is more romantic than taking a genuine interest in your partner and nothing will reveal a shared interest faster than a straight question. The above Phuket romantic tips will only get you past the first date or two. Eventually, you’ll run out of good questions to ask or will exhaust the shared topics, so what comes next? How do you keep the conversation fresh on the third or fourth date? How do you move your relationship to the next level? Talking about the future and especially your future together may seem a little daunting, but it shows commitment. It clearly demonstrates to your partner that you’re serious about being together. Asking still works, too, but you now have significantly more trust to work with – the chances of you coming across as a creepy weirdo are much lower, so you will be able to ask more probing, personal questions. Confidence, which is important at any stage, is most important here, yet is very hard to muster since, at this stage, you have the most to lose. That’s all on you, though – best of luck!